SAM THE HEDGEHOG: Crowdfunding Appeal from MAAN on Vimeo. As many as 1 in 68 children born today are diagnosed with Autism Spectrum Disorder. As yet, nobody knows the exact cause. What we do know is that this growing community needs to be heard and seen. “Sam the Hedgehog” is a short film about a hedgehog raised among sheep. Told in verse, it shares the message that ASD individuals should be celebrated and accepted as they are. Once the film is made, it will be made viewable and shareable online, free of charge. I’m Michael Clark, an animator with close ties to the autism community. A couple of years ago, I met radio journalist David O’Sullivan, and we got excited about the idea of using animation to spread the message that autistic people — and especially kids — need to be accepted and respected for who they are. This was how SAM was born. 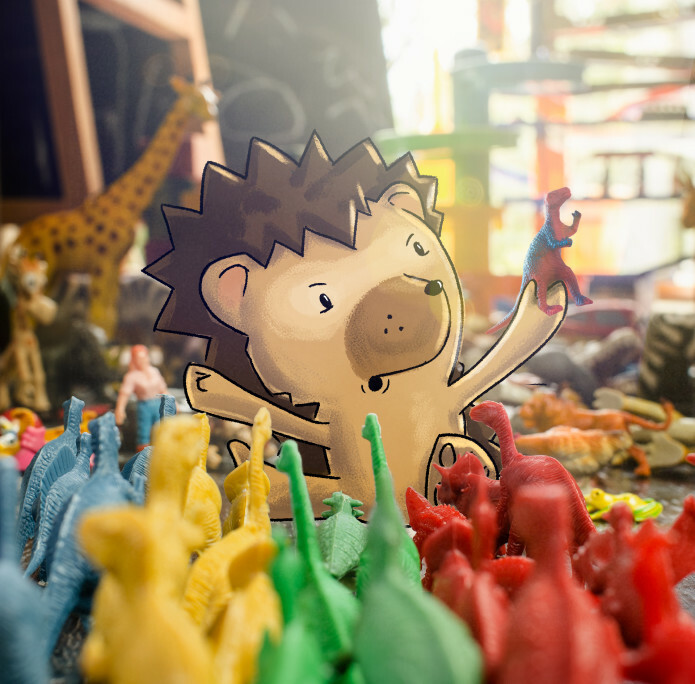 Told with 2D tra-digital characters composited into hand-crafted stop motion sets, SAM THE HEDGEHOG is the story of a hedgehog raised among sheep. Sam’s teachers and the “normal” lambs at his school don’t understand why he’s so prickly. But Sam just wants to be accepted the way he is. Our story focuses on Sam and his parents, Mr and Mrs Mouton, two ordinary sheep who must come to terms with the fact that their only child is not a lamb at all, but a hedgehog. At first, Mrs Mouton is determined that her son will be treated the same as the “other” lambs, while Mr Mouton feels Sam should follow his own path. Their journey as a family leads them to the realisation that Sam is indeed a hedgehog, and that the world has a place for him, prickles and all. Our aim is to make the finished film available free of charge online to be shared as widely as possible. It will be available to broadcasters on the same basis. With the help of a National Film and Video Foundation Grant, we have finished preproduction, including test animation, initial storyboarding, visual development and script. We have a commitment from Nickelodeon Africa to help spread the word about Sam during our campaign month. Bellavista School and Autism South Africa have endorsed SAM and are helping us get the word out there. Three autistic individuals have been a special inspiration for this project and, in their honour, we have some special perks available on the right. Michael O’Sullivan is 13 years old and has an exceptional memory for reciting stories. Michael’s dad, David, was one of the originators of the idea for Sam and is an award-winning radio presenter on Kaya FM, where he hosts ‘Breakfast with David’. For those near Johannesburg, join us for Breakfast with Team Sam, a post-campaign wrap party where you can have ‘Breakfast with David’ in person and meet the rest of the production crew. Johnny is my 7-year-old nephew. He has a unique and prodigious talent for drawing. You can get a special set of printed post cards with some of Johnny’s illustrations. Rita du Plessis is a junior animator at MAAN Creative with Asperger’s. She has a passion for painting imaginative scenes and creatures in Photoshop. Get a poster print of one of her artworks. 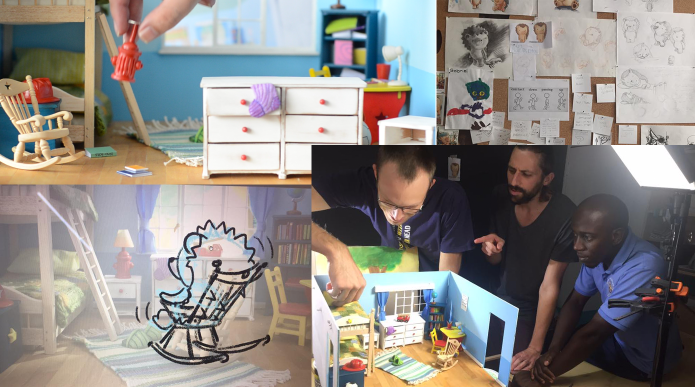 We are hoping to raise $25 000 to fund the next stage of the film’s development, which is to create the rest of our lovingly-made sets and props, and to complete storyboarding. Animation has a unique ability to transcend boundaries and reach a universal audience. It can be translated into different languages and play anywhere in the world. Animal characters in particular have the power to engage kids (and adults) across different cultures. Unfortunately, good quality animation is expensive! While we could tell the same story in a cheaper-to-produce way, we believe that making this film to the highest quality we can achieve will give it the best possible chance of having an impact… and spreading the message we all care about. See the loom our art director Jo Scheepers made to hand-weave the carpet in Sam’s bedroom? Yep. Jo really, really cares about his miniatures. The film is also benefiting from many artists that have pledged their support – from voice over artists performing for free, to storyboard artists working for reduced rates. There are many people putting in loads of extra time and effort to make this project happen. Your support will go a long way in helping it happen too! Set Design – $ 4,000 – First, we plan to design all our sets. This has to be done very carefully to ensure we get all the background plates we need and can get the right camera shots. Principal Ramsbottom’s office, where Mrs Mouton is first confronted with the idea that her son might be a hedgehog. Animatic – $ 30,000 – our next step is take our storyboard and turn it into an animatic. This involves recording guide voices and timing out the whole film. One reason this is important is that we can use the completed animatic to consult within the autism community and make sure we are delivering a fair portrayal and a sound message. $38,000 – We can complete voice recording! $50,000 – We can complete our set shoots! $90,000 – We can complete our 2D character animation! $100,000 – We can complete compositing! $110,000 – We can complete score, foley & final audio mix! And that’s the film done! All backers of $15 or more will receive a link to advance screenings, and hi-res digital downloads of the finished film, with the proviso that completing the film is of course dependent on funding. In the meantime, we also offer artworks, t-shirts and lasercut props similar to the ones featured in our teaser. For those interested in the animation process, we’re also offering guided virtual studio tours and studio visits! Once the film is made, we will spread it as widely as possible, free of charge. Thereafter, the film will live on Sam’s dedicated website, which we hope to build into a resource of helpful content for the ASD community. Our campaign goal in itself is not enough to fund the entirety of production. 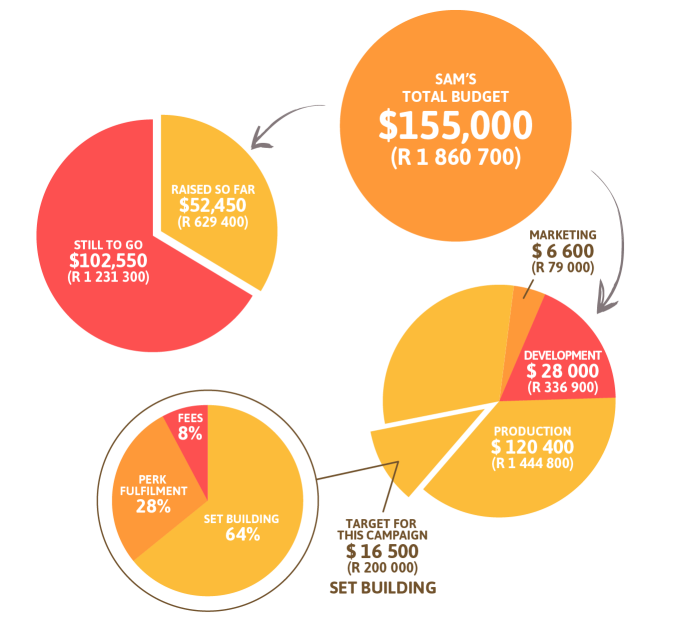 But the money we raise will help us get the most demanding part of the production out of the way – the set builds – and demonstrate that SAM has an audience and that his message is important. This will enable us to motivate for more funding from film bodies and corporates. 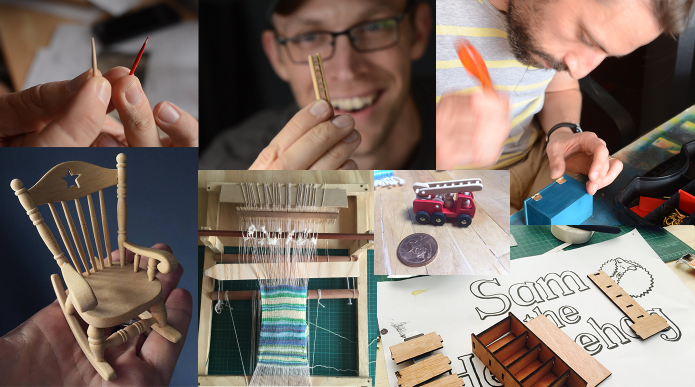 A passion project is sustained by just that – passion. In our case, we have a passion for story-telling that has met an important message (about autism). I a nutshell, we want to tell impactful stories that matter. 2. Who is this film for? The film is for both adults and children. Our aim is to make something that will be useful for the autism community to share with “NT’s” to help convey their experience, but also to make a film that has the the artistic merit and emotional impact to gain organic traction beyond this community, just standing on its own feet as a short film. 3. What equips you to portray autistic people fairly and accurately? This is a big concern of ours and it’s the reason we have consulted and will continue to consult within the autistic community. If you feel you could be of help, please email us and we’ll be in touch during the production process! 4. When will the film be finished? Unfortunately, our schedule is dependent on the funding we raise and thus our release date is unpredictable. Our goal is to finish it during the second half of 2019 – animation is not for the impatient! 5. Where will the film be distributed/viewable? Once it’s done, we’ll enter SAM into film festivals worldwide, which will mean keeping it off the internet a little while longer. Our backers, however, will be given the opportunity to view the film early. After the festival run, we plan to make the film as widely viewable and shareable as possible. 6. Will you turn it into a feature/series/something else? Right now, the short film is our focus. Aside from that, our only commitment is to develop Sam’s website into a platform and a resource for materials and discussion around ASD acceptance. We would also love to do a web series of shareable short shorts using the characters to communicate around specific issues autistic people deal with on a day-to-day basis. If you’re a producer, we’d love to talk to you about this concept! 7. I don’t have any cash. How can I help? If you can’t contribute, we’d really appreciate it if you spread the word about Sam on social media and among your networks. Please also follow Sam on Facebook and Twitter. Got questions? Email hello@samthehedgehog.com and we’ll do our best to respond!